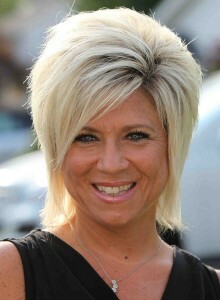 Theresa Caputo. I’ve been sent a couple of articles about the private investigator gathering evidence of her fraudulent activity on her clients. Such accusations have been floating around against her since she began her TLC show and I’m really not that shocked. It is interesting, though, that the investigation has become somewhat official if the articles I’ve been sent are true. The things she’s accused of recently are not any different than what any other “TV psychic” gets accused of–or even less famous ones. I’m not her greatest fan. Far from it. I do think her show is cleverly edited to weed out her misses. I once blogged a review of her show early on that questioned the morality and etiquette of what she was doing, and her passionate followers were so abusive that I had to shut down comments on it. Tensions run high on both sides of the Caputo fence just as they often do with any psychic or medium with increasing fame and wealth. However, there’s a big difference between constructive merit-based criticism and horribly abusive attacks. Whenever these accusations begin to happen, all of us come under attack because if one psychic might be scamming people, then all of us must automatically be doing the same thing. We are almost always lumped together even though we are all individuals with goals and dreams of our own. The long established mob mentality (both for and against) is a big reason why I’ve largely quit doing readings in the last eighteen months. If people book with me, fine, but I haven’t been advertising even though I’m struggling to pay my bills now. I’d rather not go back to it, to be honest. Doing readings for a living since I was sixteen has taken a huge toll on my health. The majority of legitimate psychics and mediums suffer with chronic health problems and many die young. My health has been in such bad shape for the last couple of years that I still have readings from months ago that need to be done. But I’m not going to feed people false information if my health is affecting my abilities. I will fulfill my obligations once my health stabilizes. Research is where my heart and soul lie these days. Reincarnation, longstanding hauntings, etc. Research is not the violent bloodsport that being a public psychic or medium is. Theresa Caputo may or may not be scamming her clients. I don’t know. Like I said, these accusations get thrown around about every psychic or medium who makes it into the media. Sometimes the accusations are justified. Sometimes they are not. Even if I’m not her biggest fan, I still don’t like the comments I read on the articles that were sent to me. The language from people safely hidden behind their computer screens was beyond abusive, rude, and horrible. As someone who has faced occasional anonymous hate emails from strangers with similar language, I can unfortunately empathize with her should she stumble onto those articles and read what people say in the comments. This is not to say I personally believe she’s a legitimate psychic. I’ve seen quite a lot to make me question whether she’s unintentionally (or intentionally if you go the sinister route) doing cold readings even when they appear to be accurate on her show. I don’t believe in witch hunts though. That is why I will never speak of a psychic or medium that I don’t personally know outside of the sphere of constructive merit-based criticism. Even if the private investigator does come forward with evidence of her fraudulent activity beyond a shadow of a doubt, I will never be able to bring myself to use abusive language. I can’t even make myself use abusive language about murders or thieves or any other type of criminal. That’s just the kind of person I am. I feel empathy for everyone no matter what they do, because at the end of the day, we’re all human beings on a spiritual journey. Making mistakes or doing bad things is part of the learning process. Don’t get me wrong–I do believe people who do wrong should face consequences. If someone like Theresa is openly scamming people, she should face consequences for what she’s done. I still don’t believe that gives me the right to use abusive language about a perfect stranger. This world would be a much more peaceful place if people would approach the most awful situations with empathy and compassion instead of abuse and venom. Rise above it. Be an example for good instead of hate.